Hosting : If you are designing or re-designing a website for web hosting, then you need to reveal professionalism, trust, reliability and you want to have space to point out all the web hosting services you offer. Template 57229 is designed with all that and more in mind. 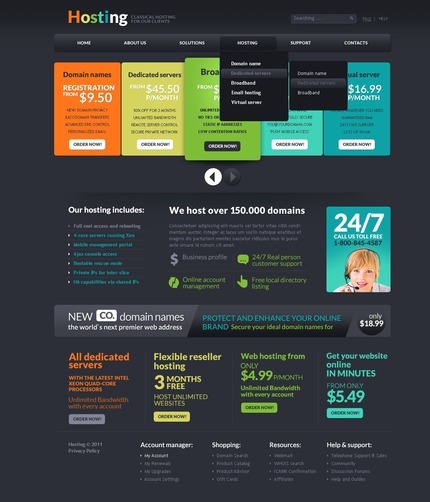 This template is a perfect choice for companies that provide web hosting services. This template is loaded with graphics that relates to the hosting industry. Bonus with every purchase With each template purchase you get Free Web Design Elements: photos, fonts, icons, 3d models, sounds. Buy template 57229 from zeronese today and get access to the Free Clipart & Free Web Design Elements library.